Thoughtfully designed for Chinese playing cards enthusiasts , this diamond back deck features an elegant chinese coin to bring luck and fortune with every card. 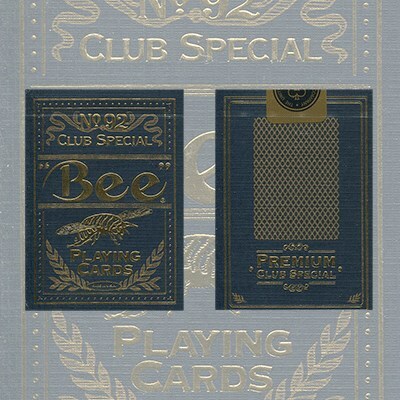 The deck's gold, metallic and imperial colors, combine exquisite luxury with expertise, trust and heritage of the "bee" brand. Printing navy blue color in tuck case inside .